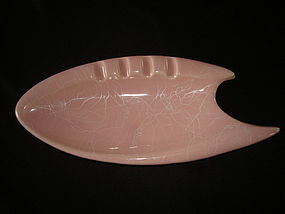 Wonderful 1950's Pink with motteled white line Shawnee Pottery Ashtray. 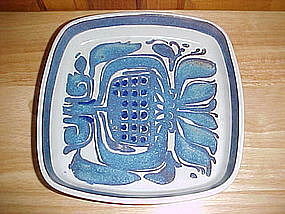 This atomic boomerang design ashtray is in fine condition and is signed SHAWNEE USA 407. It measures 10 1/8" in length and 4 1/4" wide. 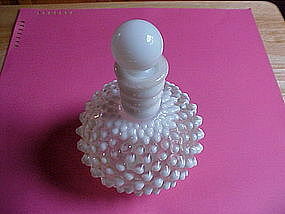 A classic 50's ceramic accessory!!! $ 25.00 -"SOLD" - THANK YOU!! 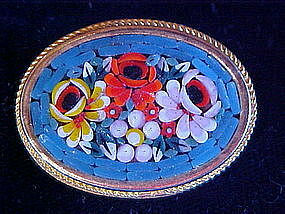 Beautiful 1950's-60's Italian mosaic floral pin. The design of this pin is made with hand set small glass mosaic components called Tesserae. 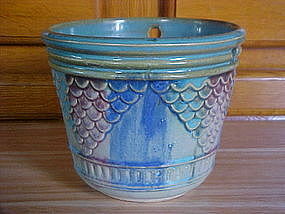 It is a multi colored floral design on a torquiose blue ground. 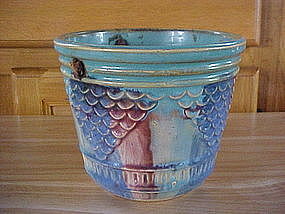 It is in excellent condition and measures 1 3/8" x 1". It has a safety pin type clasp. Lovely 1950's ladies pill box. 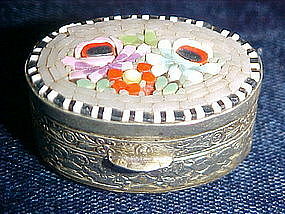 This box was made in Italy and has a hand inlayed glass mosaic floral design on its lid. Small glass mosaic component called tesserae were used to fashion a complex and detailed floral pattern. This box is about 5/8" high and is 1 1/4" long and is in very fine condition. $ 25.00 - "SOLD" - THANK YOU!! 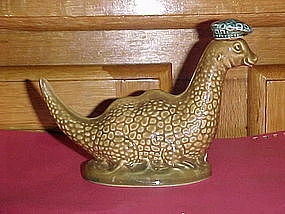 Very cute miniature Scotch whiskey decanter in the form of the Loch ness Monster. 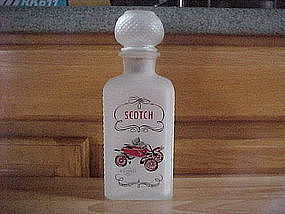 Made by the famous Beswick Pottery Company of England in 1969 for Beneagles Scotch whiskey company. 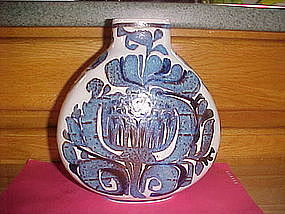 This flask measures about 5" long and 3 1/2" high and in excellent condition. 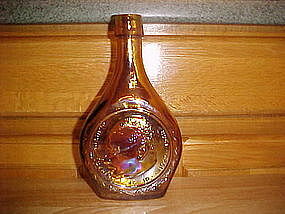 Beautiful carnival glass Wheaton flask commemorating Dr. Martin Luther King Jr.. The front is embossed with the side view of Dr. King with his years of life 1929 to 1968. The back is embossed " Non-Violence is the Answer" Nobel Prize acceptance speech Oslo 1965. 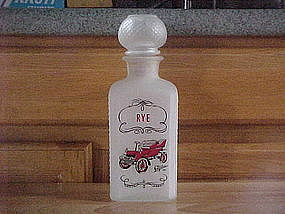 The base is embossed " Wheaton Glass Co., Millville, NJ. 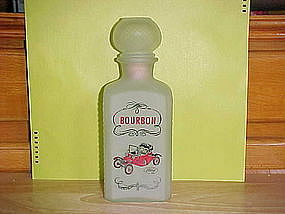 This fine bottle measures 8 1/4" and is in Excellent condition!